Studio B Fine Art Gallery is pleased to announce the opening of “The Art of Film Exhibition” on Friday, September 21, 2018, from 5:00 -7:30 p.m. The exhibit will feature work in all media within the realm of the film and movie industry. The exhibit will run until Sunday, October 14, 2018. The exhibition and opening reception are free and open to the public. Awards will be announced on the evening of September 21 at 6:15 p.m. The winning artwork will hang at the WCR Center for the Arts during the Award Winner’s exhibition, on October 18, 2018 – opening at 5:30 p.m., and running through November 11, 2018. 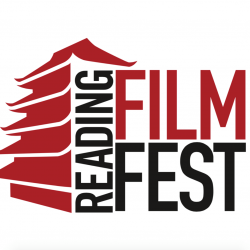 Following the opening reception on October 18, the State Theater will present a sneak peek movie and film trailers from the 2018 ReadingFilmFEST at the Theater in Boyertown from 7:30 – 9:00 p.m. The 2018 ReadingFilmFEST will take place on November 1-4, 2018, thanks in support of presenting sponsor Edwin Barbey Charitable Trust. Films will be shown at the various venues, including R/C Reading Movies 11 & IMAX Theater and the GoggleWorks Boscov Film Theater,where they will host the films and filmmakers throughout the festival. In furthering the collaboration, on November 3, 2018, from 6:00 -10:00 p.m., the State Theater will again join the ReadingFilmFESTand feature a showing of a film selected for the film festival. Juror for the exhibit is F. Alan Shirk, the 2015 ART of FILM Award of Excellence winner, a native of Berks County. Shirk runs Shirk Communications/ ShirkWorx, a marketing/advertising/public relations agency. Shirk Communications over the years has won Philly Gold, ADDY, Neographics, APEX and Silver Microphone awards. A supporter of the arts, Shirk is a former member of the board of directors of GoggleWorks and Berks Arts Council. In 2006, he organized and ran the first-ever Berks Movie Madness Film Festival.